Designed to minimize stress on your back and legs during extended sessions at your desk, the WorkPro chair helps you maintain your focus while taking on your to-do list. The attractive design of this mid-back office chair provides you with just the right mix of form and function. 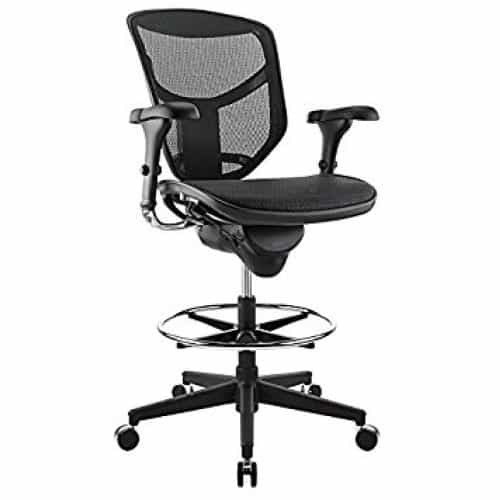 Overall Dimensions: 42 3/4 - 52 3/4"H x 25 7/16"W x 27 7/16"D.
This mid-back chair has mesh seat material that provides increased airflow and breathability. Beverly Hills Chairs was very helpful in helping me find the right chair. I could not afford a Herman Miller Aeron stool and they pointed out this stool in it's place and it is fantastic! Thank you!